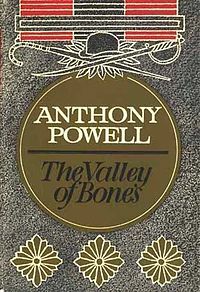 And so to July’s Anthony Powell – “The Valley of Bones”, book 7 in the “Dance to the Music of Time” sequence, and the first volume in my collection titled “Autumn”. It’s perhaps a little scary to realise that Nick is being considered in the autumn of his life while still so young, but I suppose we need to remind ourselves that life expectation has changed somewhat! Or maybe it is just the autumn section of the stories – whatever! I’ve now begun to expect that the start of any new Powell will throw me straight in at the deep end, into an unfamiliar situation with a set of new characters. However, the beginning of VOB does this with a vengeance, as Nick is in the army and posted to a regiment who it quickly becomes clear are Welsh! The first two chapters are darkly humourous as we meet Nick’s CO, Gwatkin, prone to quite dramatic mood swings, plus a number of other officers and ordinary soldiers. There is also Blithel, whose (false) reputation precedes him and who turns out to be a bit of a strange alcoholic. The regiment get shipped off to Ireland and there is much fumbling about with orders and military exercises going wrong. Gwatkin proves to be very erratic, and prone to take out his failures on others. Before long, Nick becomes the scapegoat on one the troop’s first military exercises, although Gwatkin tries to make it up later. Nick is then shipped off from Wales to Aldershot to some kind of pointless-sounding training course where he befriends David Pennistone (whom he had run into a long time ago at a party). And then, after the two excellent chapters of Nick in the army, Powell hits us with a cracker of a chapter with the weekend gathering from hell as our hero visits his sister-in-law’s, where Isobel his wife is staying. He’s met with old faces, new faces, characters we’ve only heard mentioned before, sworn enemies, sexual undertones – it really has it all and ends with Nick having to go back to camp while Isobel faces labour! Back in Ireland, Gwatkin is going to pieces, having fallen in love with a local barmaid, and drifting off into dreams at inappropriate moments. Things continue to crumble in the regiment until Gwatkin is replaced and Nick is hauled off to HQ to meet the DAAG (Deputy Assistant Adjutant General apparently!) who turns out to be an old friend…. I have to say that I did find myself having recourse to Wikipedia at times, though, to sort out some of the more complex military ranks! The writing is superb as always, and Powell’s normally labyrinthine sentences are often reduced to shorter, almost staccato phrases in places, reflecting the change in the world around him and the necessity for often quick-fire decisions and actions. In particular, he shows a genius for reproducing dialect, and the lilting, sing-song intonations of the Welsh language are beautifully reflected in the speech of the soldiers. Having visited Wales almost annually for many years, I can testify to the accuracy! An interesting underlying theme in VOB was the effect of the war and army life on relationships between men and women, and also the changing attitudes of women. From early on, it seems that it is ok for soldiers, even married ones, to lust after, and liaise with, any women they come across; but when Sgt Pendry’s wife is reported to be having an affair he falls to pieces, and has to go home to try to sort things out. So should she wait faithfully at home while the soldiers take their chances with local girls where they can? Powell’s (and his characters’) attitude to women are ambivalent – some of the soldiers seem happy with a quick shag under a hedge, others envisage much more noble affairs and Nick in places seems to defend the fact that women are being just as promiscuous as men – he is slightly more open-minded than many of his colleagues. The War caused a large shift in attitudes to women, and indeed of women’s expectations and this is reflected a little here, though is to be found much more in women’s writing of the period (many of the reprinted Persephone books come to mind). But always in the background is the knowledge that War *is* a matter of life and death. There are casualties here – Sgt. Pendry is one of them, although not through seeing action, and Nick loses a family member, albeit a remote one. We are aware that there are likely to be more. After several fiction reads, I decided it really *was* time to branch out a little into something more factual. 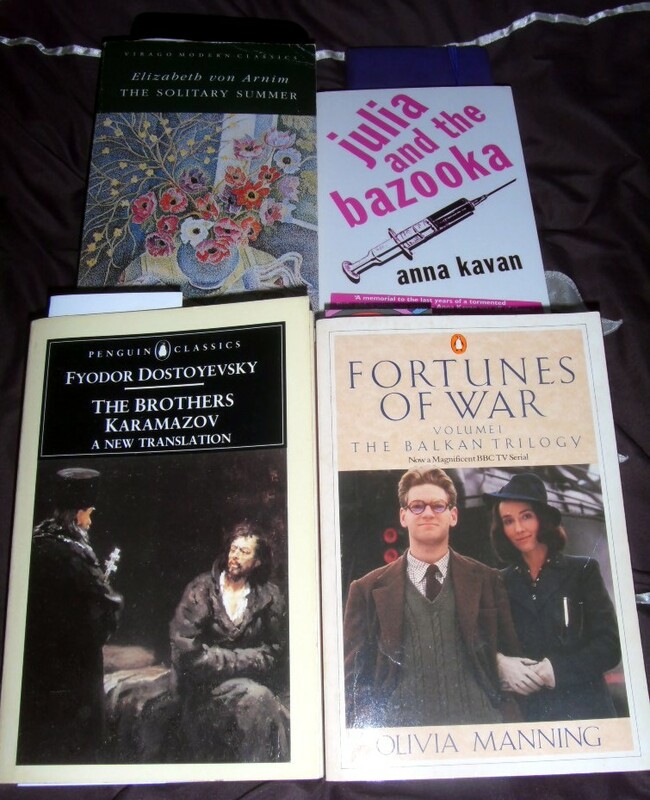 And this is an odd trend, all this fiction reading, as I’ve always been a keen reader of non-fiction. 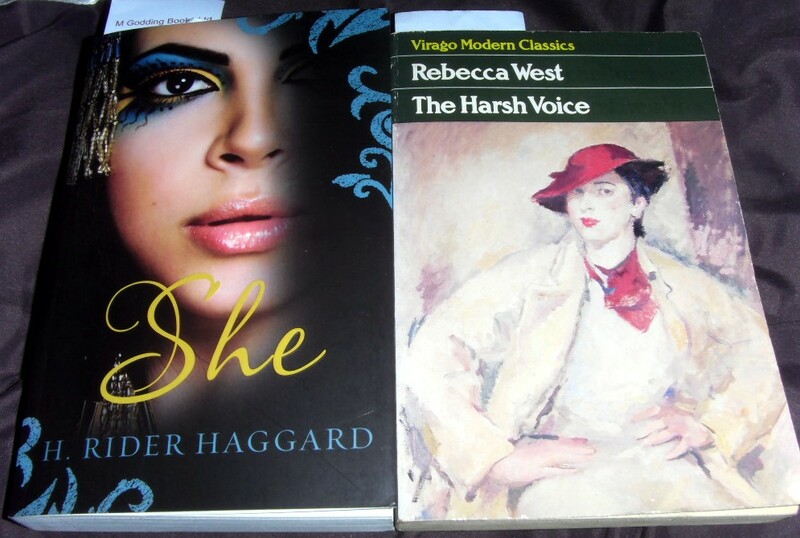 It may be that blogging has affected my viewpoint a little as so many factual books are denser and longer, and I may have been feeling the need to keep regular reviews here. No matter – this is a slim NYRB volume (always a joy) and didn’t take me very long at all! “Vasily Semyonovich Grossman (December 12, 1905 – September 14, 1964) was a Soviet writer and journalist. Grossman trained as an engineer and worked in the Donets Basin, but changed career in the 1930s and published short stories and several novels. 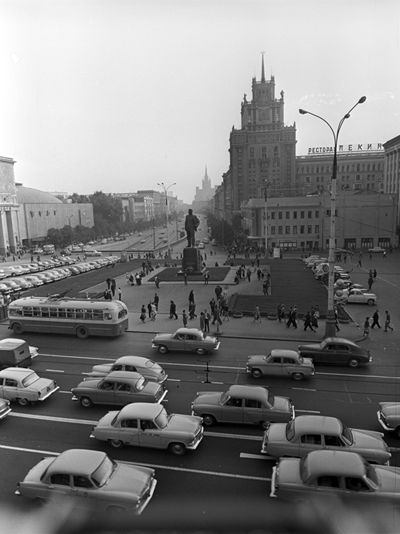 At the outbreak of the Second World War, he became a war correspondent for the Red Army newspaper Krasnaya Zvezda, writing firsthand accounts of the battles of Moscow, Stalingrad, Kursk and Berlin. Grossman’s eyewitness accounts of conditions in a Nazi extermination camp, following the liberation of Treblinka, were among the earliest. 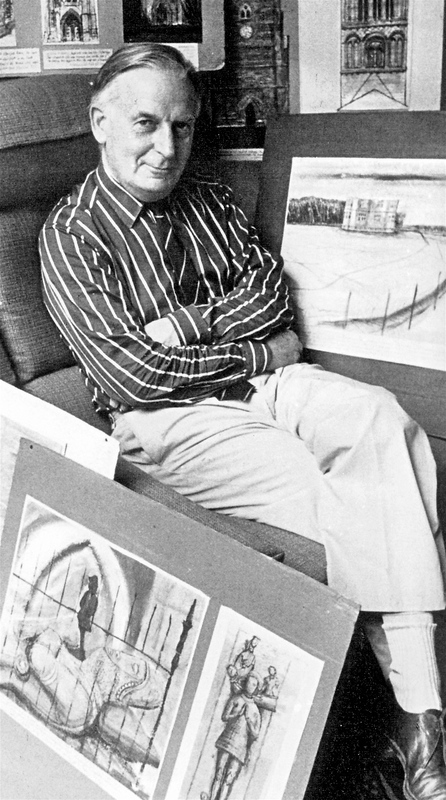 Grossman also translated Armenian literature into Russian, despite the fact that (as he writes in ‘Dobro Vam!’, – the account of a sojourn in Armenia in the early 1960s, during which he worked at the translation of a book by a local writer called Martirosjan) he lacked the ability to read Armenian, and worked on an interlinear translation made for him by a third person. I’ve quoted at length because much of this is relevant to any reading of Grossman’s work – context is all, sometimes. I confess to having L&F on Mount TBR but not yet having read it, so this is a new writer for me! My edition is a lovely NYRB paperback, beautifully translated by Robert and Elizabeth Chandler, and with excellent notes plus photographs to illustrate. “An Armenian Sketchbook” (in Russian ‘Dobro Vam!’) is mentioned above, and came into being because of the rejection of L&F. 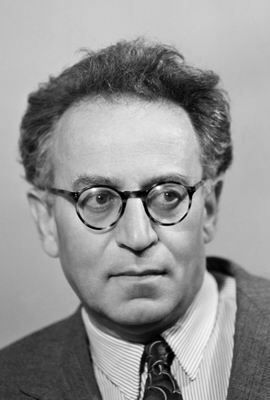 As translator Robert Chandler and scholar Yury Bit-Yunan relate in their excellent introduction, it seems that Grossman was offered the opportunity to translate the Armenian novel and travel to that region as a kind of compensation for the lack of income he would experience from L&F not being published. So because of this we are fortunate to have this little volume, part travelogue, part cultural study, part memoir and part philosophy of life! These may sound like rather grandiose claims, but this slim book is packed with so much thought-provoking writing. Grossman travels to Armenia and his first (and recurring) impression of the area is of stone – an arid world, grey and solid, in which it seems impossible that humanity can survive. He spends some time in the capital Yerevan before moving onto a village, where he learns to know the Armenian people and countryside, creating bonds with them he did not expect and finding sympathy too. But there is always the underlying theme of human mortality. Grossman was in the early stages of cancer when he visited Armenia, and in one vivid passage he fears he is dying. “An Armenian Sketchbook” ends with a lively portrait of a peasant wedding, a mixture of joy and sadness, all the time against the backdrop of the eternal Armenian stone landscape. Grossman meditates on churches and belief, and the image of nearby Mount Ararat reappears often – which oddly enough featured in my recent read of “Travels of a Capitalist Lackey”, so author Fred Basnett obviously passed by the same area. The Jewish Grossman finds unexpected sympathy from the Armenians for the plight of his fellows, and it is worth remembering how recent the horrors of the Second World War still were when this book was written. I was really impressed by my first reading of Grossman – beautiful prose, evocative description and some deep thinking from a book which really sticks in the mind. Maybe it’s time for “Life and Fate” soon? 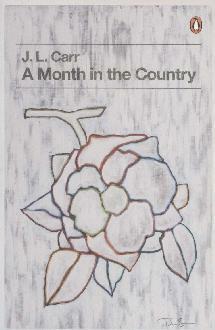 And so I follow up a couple of short works with another short one – “A Month in the Country” by J.L. Carr, which clocks in at just 93 pages! I picked this up at the local Oxfam bookshop a while back, after hearing it highly recommended by Alex – and she wasn’t wrong! “A Month in the Country” is probably J.L. Carr’s most famous work and it is set just after the First World War. Tom Birkin is a survivor – shell-shocked, with a twitchy face, but still alive. His marriage has collapsed and the book opens with his arriving in the northern town of Oxgodby by train in the pouring rain to work for a month restoring a church wall reputed to have hidden piece of religious art. Also working locally is another veteran, Moon, who is digging for a lost excommunicated ancestor of the same local dignitary who has left instructions in her Will for both of these searches to take place. After initial strangeness, Tom starts to fit in with the locals, working at his restoration, attending chapel meetings and falling in love. As the book goes on, the English summer and the countryside have a healing effect on him – but how will the archaeology end? For a short book, this is amazingly packed and just proves that you don’t have to write an epic the length of “War and Peace” to tell a memorable tale and make a few points while you’re doing so! It’s an odd book, in a way. The writing begins prosaically enough, and some of the sections verge on the educational, when Birkin/Carr is telling us about some ecclesiastical aspect. Yet as the book progresses, and Tom begins to settle and heal, the writing becomes more beautiful and evocative, conjuring up visions of long, hot days in the English countryside. And the writing is remarkably clever too. Despite this being such a compressed book, it never feels short or as if anything is missing. We learn about Tom’s wife, her unfaithfulness, the War, Moon’s real nature, and many other things all in very short paragraphs and phrases, but this is so skilfully done that we feel we know the whole story. Instead of a blow-by-blow account, we get what you might call the bullet points, but so beautifully presented that it doesn’t feel like it. There is a delicacy in the storytelling, as if it is enough to just hint about things and we will know all we need to. This is particularly effective when Tom is thinking of the War – less is more, as they say. The romance, such as it is, is subtly suggested and we discreetly consider the state of Alice Keach’s married life – as cold and strange and empty as the house she inhabits with her vicar husband. There is a sense of the long-gone past in the researches of Birkin and Moon, and also a real sense of the horror through which they’ve lived. And Birkin’s relationship with the unknown artist who created the lost work is intriguingly suggested, and has something to do with his healing process. They say comparisons are odious, but I could help but constantly thinking back to my re-read of “Hotel du Lac” and thinking how much more depth there was in this book of much the same length. “A Month in the Country” is an elegiac masterpiece, with characters who are masterfully sketched and jump off the page, a location and landscape which is fully alive, and a tale told which gives away much more than appears at first sight. This was a remarkable, moving and lovely book and I’m glad Alex’s review pointed me in its direction! I’ve got a little behind with my reviews here – life has definitely been getting in the way of blogging 😦 – but I have managed to keep up with the reading and so will try to round things up! I’ve been going for shorter works, although after Hotel du Lac I did feel the need of something with depth, and so turned to the Russians again – this time Chekhov’s “About Love and other stories”. My volume is an Oxford Classics one, fairly recently translated by Rosamund Bartlett (who I believe is also a biographer of Chekhov). The selection of tales stretches from “The Huntsman” (1885) to “The Bishop” (1902) and takes in some of his most famous works, including “The Lady with the Little Dog” and the title story. In some ways, I find reading short stories difficult: I’m quite a fast reader and to leap from one story to the next, without allowing time for each to really settle in the brain, somehow seems wrong. So I tried to space these out a little around Brookner – and the fact that Real Life has been hectic helped a little! First off, the mechanics of the book. There is an excellent introduction by Bartlett that gives excellent background and context for the stories, looking at them from a number of angles including literary and biographical. The notes are also useful, not obtrusive and get the balance just right. As for the translation – well, the stories read beautifully and have a consistency of tone and an elegiac quality. Chekhov is often satirised as a fin-de-siecle man, with his characters moping around in a mood of ennui bemoaning the state of things. This is a cliché which seems to have grown up from his plays, which I don’t know well enough to comment on. However, the stories are not like that. Bartlett makes a strong case in her introduction for viewing Chekhov as a modernist, which I hadn’t really thought of before, but she seems to have hit the nail on the head. There *is* a start and a finish to these stories, but not necessarily a beginning and an end. We often get thrown into a story which appears to be halfway through the action, with no real introduction, but the writing is so beautiful, the characters so alive, that we are happy to just follow them on the short part of their journey we join them in. As Bartlett points out, the stories often raise questions but leave the reader to answer them, which was a very modern way of writing. Do I have favourites? Difficult to say! Some of them are desperately tragic, like “Rothschild’s Violin” which touches on anti-Semitism; some are achingly sad and evocative, like “About Love”. “The House with the Mezzanine” tells a story of love’s lost opportunity, while also considering the opposing viewpoints of activity vs. idleness. Chekhov gets very quickly to the heart of the matter in what he is trying to say, and deals with the huge topics of life, death and existence, peeling back the layers we put between ourselves and reality. But this doesn’t stop him telling a funny story like “Fish Love”; or a very creepy one like “The Black Monk” which has some very profound things to say about art and madness, while also being very scary – truly the man was talented! If I had to pick just one story out, it would probably be the atmospheric “The House with the Mezzanine”. But all of these stories will stay with me, and this is an excellent selection of Chekhov’s work – highly recommended, particularly if you are coming to him for the first time. 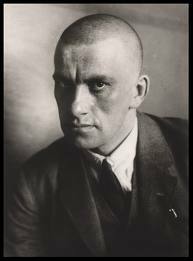 Mayakovsky’s tragedy was to be a passionate misfit in a society that was becoming increasingly intolerant of individualism. His attitude and his work are still relevant today, and I would highly recommend his prose work “My Discovery of America” which is published by Hesperus Press. One of his silent films, “The Lady and the Hooligan” still survives – as does his memory. 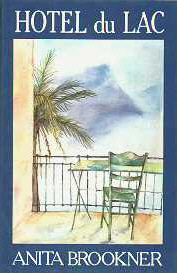 HeavenAli has been hosting a month of reading Brookner in July, and I decided to join in with a re-read of “Hotel du Lac”. This is probably Brookner’s best-known novel and I read it just after it won the Booker in 1984. However, I could remember very little about it apart from the fact I found it bleak – so a good time to revisit it! Edith Hope, who writes romantic novels under a pseudonym, arrives late in the season at the Hotel du Lac in Switzerland. She has been dispatched here by friends and colleagues to recover from some initially undisclosed indiscretion, considered so bad that she has been medicated and forced abroad. The hotel is an exclusive one, quiet and with only a few guests still remaining this late in the year: Mrs. Pusey and her daughter Jennifer; the slender Monica and her dog Kiki; deaf Mme de Donneuil, put out to grass by her family; and an assortment of passing businessmen, including Mr. Neville (Phillip). As the story progresses, we come to learn more about Edith’s fellow guests, and also why Edith herself is here in Switzerland. Initially, we think it is because of an affair with David, a married man, but a later twist reveals that this is in fact not so. The book ends with Edith actually appearing to become a little decisive – which is unexpected, to say the least! So what did I make of “Hotel du Lac” nearly 30 years on? My reactions are inevitably different – I didn’t find it particularly depressing or bleak, but it feels underdeveloped in many ways. Brookner’s prose can be exquisite, and the book is beautifully written – but in the end, hollow. The problem I feel is with the central character – Edith is undefined, almost transparent whereas the other characters are vividly painted and alive. Brookner really makes the Puseys and Monica stand out, so much that Edith is almost incidental. It may be that this, with the hint of tranquillisers and vagueness, is what Brookner intended, but it creates a heroine who has no substance and who it is impossible to care for. There is a similar problem with Neville – again a very imprecise character who never takes shape properly, exhibits unpleasant traits and whose proposal to Edith is just unrealistic. There is a sense of absence emanating from Edith: she drifts from situation to situation, with no real control of her life, and had she not witnessed Neville coming out of Jennifer’s room, would have made a dreadful marriage to him. Her final decision to take some kind of control and return to her home and to a David who may or may not care for her is no kind of victory, simply a decision made by default. However, the inconsistent characterisation and the lack of a good plot structure undermines this and I ended up really not bothered about any of it. I didn’t hate the book, but it just didn’t come together for me. The narrative is too fragmented; the revelation of Edith’s indiscretion just thrown in at the end, which actually came as something of an anti-climax. I’m not sorry I revisited “Hotel du Lac”, but it’s not a book for me – I ended up feeling it was thin and underdone, and now I just want to pick up something I can get my teeth into!